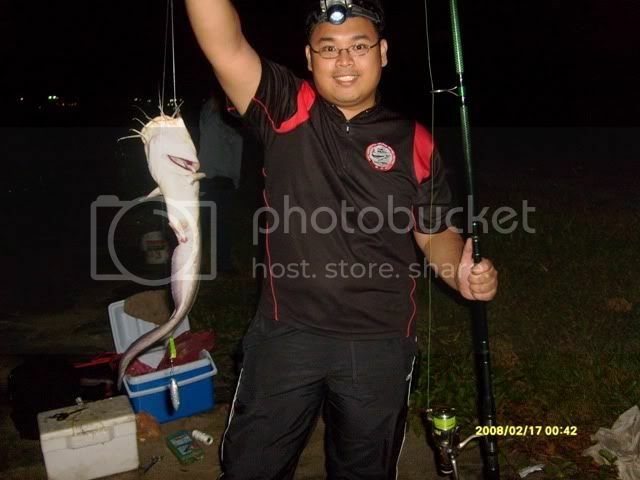 We have started to defend our title at the World Championship Surf & Shore Fishing with new team members as the past year batch mostly will be enlisted to the National Service soon. I was at home thinking of watching the English Premier League FA Cup between Manchester United versus Arsenal (Yeah! 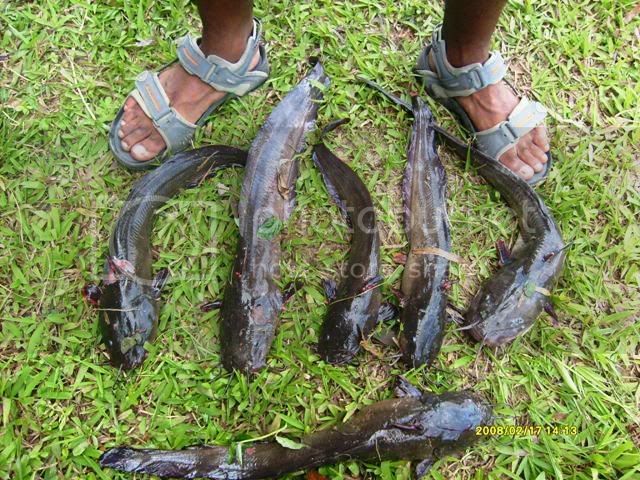 Manchester United walloped Arsenal 4 - 0) when Shedinja called me around 9pm to join him fishing at first reccee spot with the rest of the members. 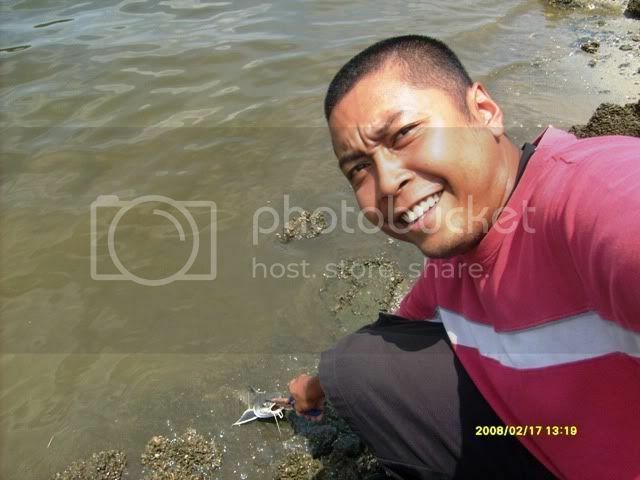 Went to Changi Village to get some supplies such as drinks, light sticks and sinkers and off to spot. 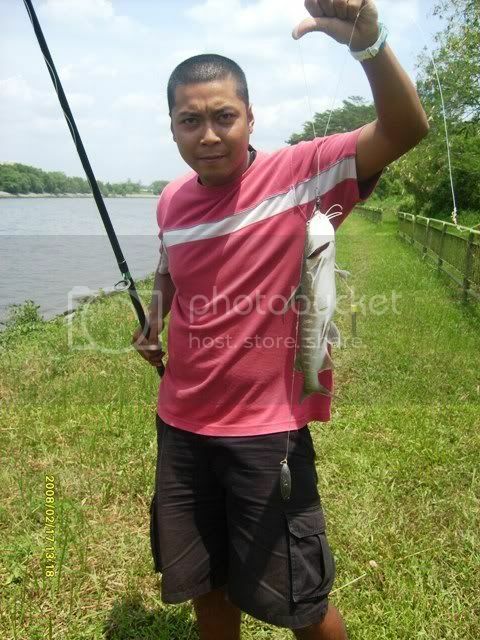 Once reach, setup my rod and casted out my baits. 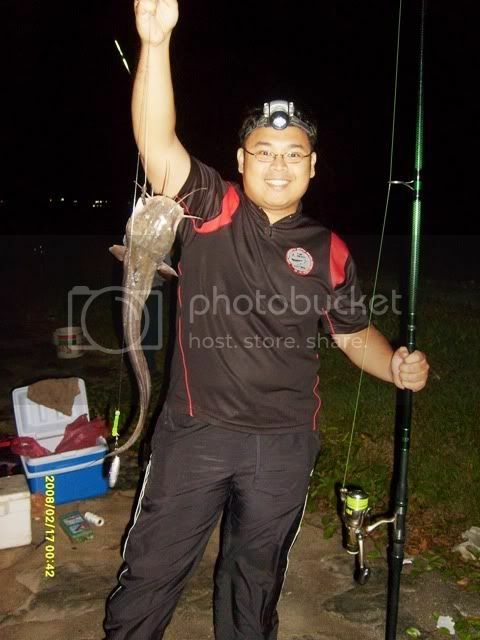 Bait was lasting and from 11pm till around 3am, with me only who managed to brought up a 1.2kg Gemang (Gray-eel Catfish) and another good size missed while reeling up due to its rocky areas. 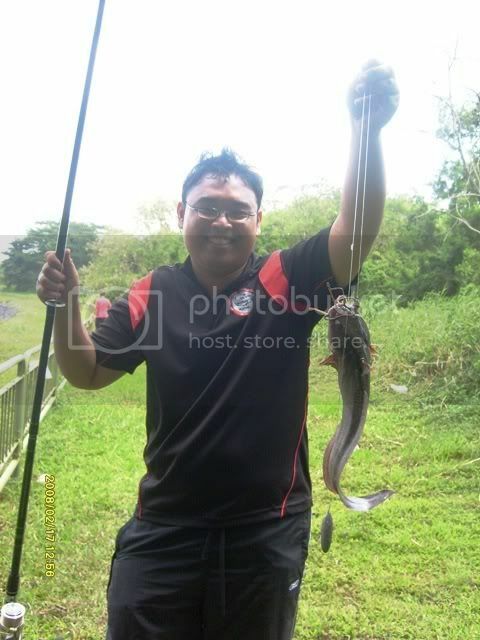 Cik Sulaiman missed two size when both of the fish swam into the rocks opening. It was early in the morning when most of us were knocked off, Yan & Wan returned home. 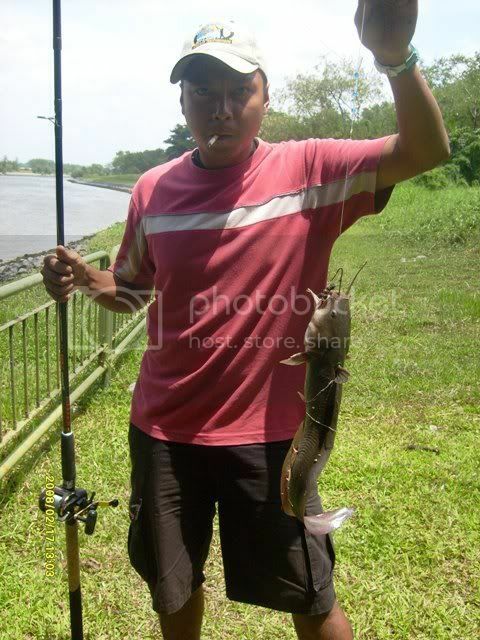 Once woken up, continued to fish until at around 10 am before we decides to change spot to target Gemang. 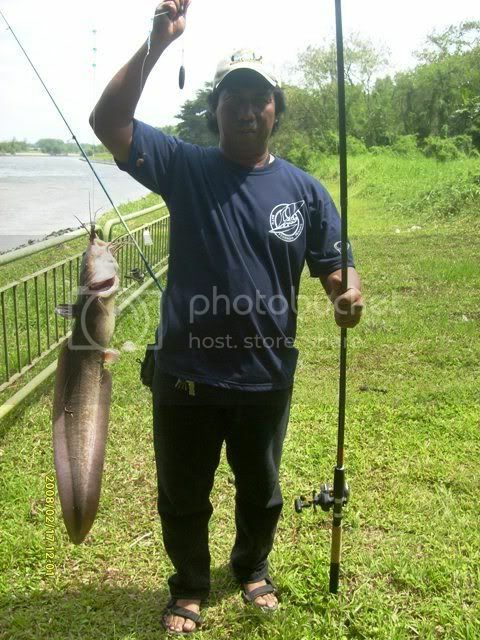 Reach spot B at around 11am and fish till 2pm, a total five more gemang was brought up and one Belukang (Forked-tail Catfish) was released back to the sea.